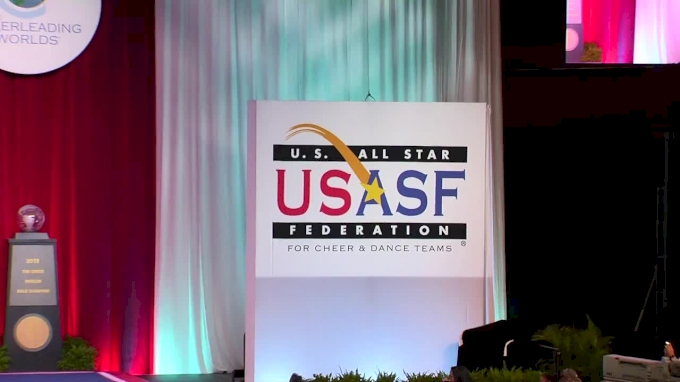 FloCheer is going to break down all 22 divisions so that you will know what to expect in Orlando, Florida. Since 2012, only four teams have taken home gold medals at Worlds in the Senior Medium Coed division. The California All Stars Black Ops has won 3, Spirit of Texas Royalty has won 2 and East Celebrity Elite C5 and Twist & Shout Obsession have each won one. The California All Stars Black Ops created a win streak in 2018 claiming gold in the division two years in a row. This west coast team never fails to deliver a clean and entertaining performance. Their 2018 routine opened up with powerful squad standing tumbling before moving into a quick elite stunt section that featured coed and group stunt hand-in-hands. The 5x World Champions, Spirit of Texas Royalty, had a stellar 2018 season taking home championship titles at CHEERSPORT & NCA All-Star Nationals. The continued their strong season in Orlando hitting zero on Day 2 to earn the silver medals and globe. Woodlands Elite Black Ops left it all out on the mat in Finals and delivered a routine of a lifetime. Their coaches were speechless and the Arena was in awe as they saw Black Ops perform an incredible zero-deduction routine. Black Ops took third in 2018 but they are a front runner heading into the championship this season as they hope to earn their first-ever World Championship title. Here’s a look back at some of the winners from the Level 5 Senior Medium Coed division from some of this season's major events! 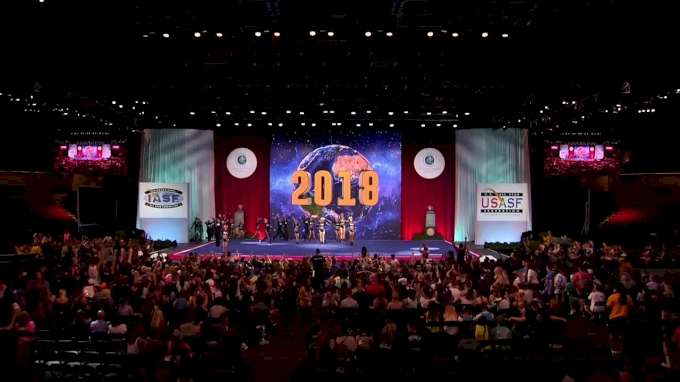 Will these teams medal at The Cheerleading Worlds 2019? We can’t wait to watch these incredible teams take the Worlds mat! This season, a few more teams have made the move into the Senior Medium Coed division and the talent is through the roof. Cheer Extreme SMOEX took home the first big division win of 2019 with two impressive routines at CHEERSPORT Nationals. SMOEX earned their highest placement at The Cheerleading Worlds in 2017 earning the bronze medallions and their strong showing in Atlanta showed fans they are hungry to get back to the podium this April. Spirit of Texas Royalty placed second at CHEERSPORT followed by Cheer Extreme Coed Elite in third. Coed Elite made the move from the Large Coed division this season and they're looking to make a name for themselves in the division with clean technique and consistent execution. Only two teams hit zero deduction routines on both Day 1 & Day 1 of NCA All-Star Nationals 2019. Woodlands Elite Black Ops high stunt and basket scores earned them a Final score of 99.1250 and their second NCA National Championship title. Spirit of Texas Royalty earned second at NCA and The Stingray All Stars Cobalt claimed third after hitting two zero deduction routines and earning a Final score of 97.6167. SMOEX may have been the only team in the Senior Medium Coed division at UCA but that didn't stop them from putting two flawless routines out on that mat. The Raliegh team hit zero on both days to finish the weekend with a set of black satin jackets and a score of 96.6750. Semi-Finals for the L5 Senior Medium Coed division will take place starting at 8:11 AM ET on Saturday, April 27th in the HP Field House. Who will take home the Senior Medium Coed 5 title in 2019? 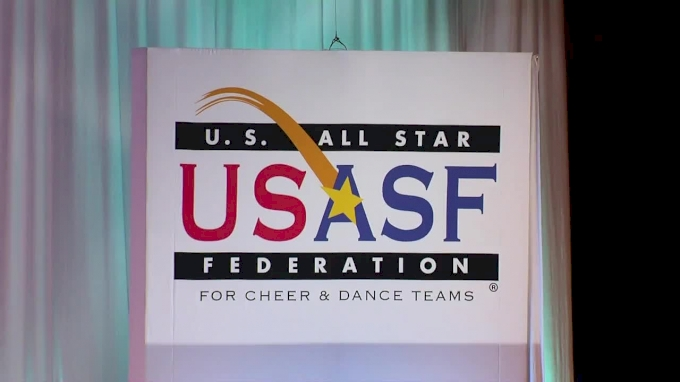 Be sure to watch these teams take the floor LIVE!